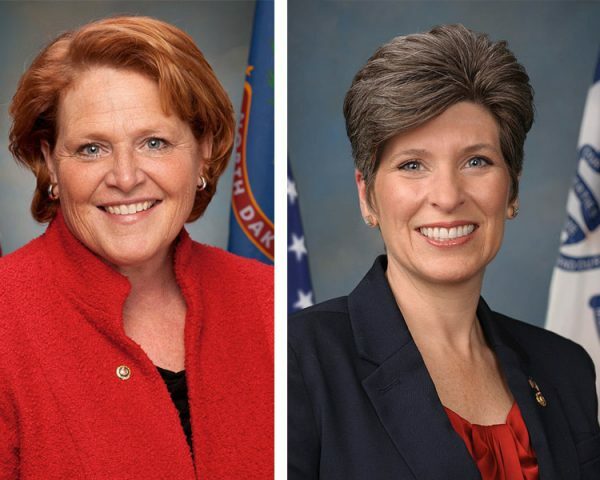 BOULDER, CO and WASHINGTON (September 20, 2016) – United States Senators Heidi Heitkamp (D-N.D.) and Joni Ernst (R-IA) became the 50th and 51st Senators to officially endorse the Craft Beverage Modernization and Tax Reform Act (S. 1562). This comprehensive and bipartisan bill enjoys wide support from the brewing industry and seeks to recalibrate the current federal excise tax structure for the nation’s brewers and beer importers and reform burdensome laws regulating America’s brewing industry. The American beer industry supports 1.75 million jobs, contributes nearly $79 billion in wages and benefits each year to American families, and generates $253 billion for the U.S. economy. The Beer Institute and the Brewers Association are collaborating closely to pass the bill, which was introduced in the Senate by Senators Ron Wyden (D-OR) and Roy Blunt (R-MO). The House companion bill (H.R. 2903), introduced by Representatives Erik Paulsen (R-MN) and Ron Kind (D-WI), has received official support from 282 members of the House of Representatives. A complete list of Craft Beverage Modernization and Tax Reform Act co-sponsors in the Senate can be found here and the House here. Reducing the federal excise tax to $3.50 per barrel on the first 60,000 barrels for domestic brewers producing fewer than 2 million barrels annually. Reducing the federal excise tax to $16 per barrel on the first 6 million barrels for all other brewers and all beer importers. Keeping the excise tax at the current $18 per barrel rate for over 6 million barrels. Reducing bonding and filing requirements for the 90% of American breweries that pay less than $50,000 per year in federal excise taxes. Expanding the list of ingredients that could be automatically included in beer without federal government approval. The Hop Growers of America, the Can Manufacturers Institute, Glass Packaging Institute, the National Barley Growers Association, and the National Corn Growers Association have also endorsed the legislation. The Brewers Association is the not-for-profit trade association dedicated to small and independent American brewers, their beers and the community of brewing enthusiasts. The Brewers Association (BA) represents more than 70 percent of the brewing industry, and its members make more than 99 percent of the beer brewed in the U.S. The BA organizes events including the World Beer Cup℠, Great American Beer Festival®, Craft Brewers Conference & BrewExpo America®, SAVOR℠: An American Craft Beer & Food Experience, Homebrew Con, National Homebrew Competition and American Craft Beer Week®. The BA publishes The New Brewer® magazine and its Brewers Publications division is the largest publisher of contemporary and relevant brewing literature for today’s craft brewers and homebrewers.